After the World Cup, soccer still dominates everyday life. It is easy to see in commonplace items and situations. 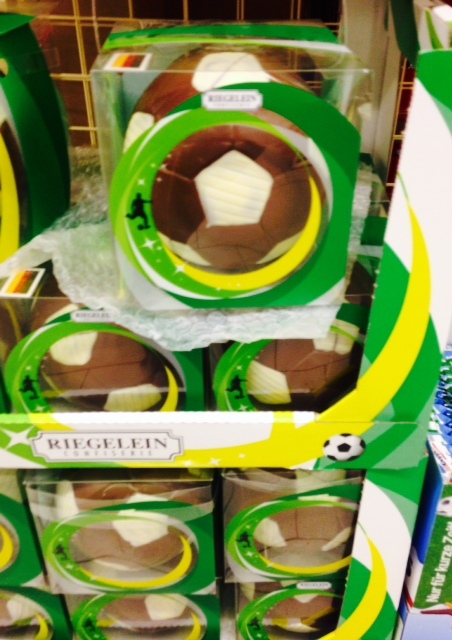 I came across soccer in the chocolate aisle in the supermarket as well as in the bathroom. 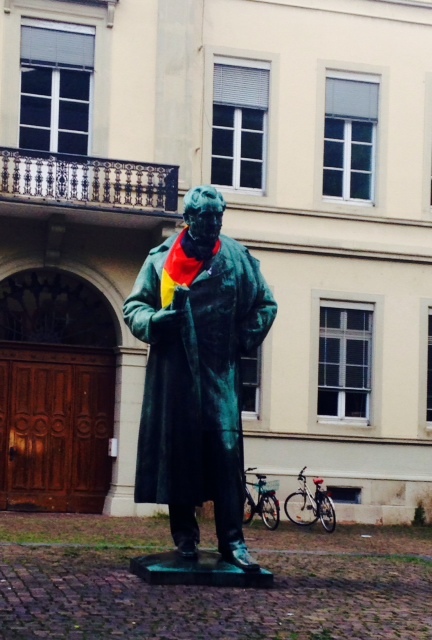 Since I was in Germany for the final game of the World Cup, I also saw signs of the celebrations even days after the final goal as seen in the picture with the statue of a German philosopher (I guess I should have checked which philosopher it was).